Adopted in 1990 and in force since 2003, the Migrant Workers Convention (International Convention on the Protection of the Rights of All Migrant Workers and Members of Their Families (ICRMW)) is the most comprehensive international treaty in the field of migration and human rights. However, to date, it has only been ratified by 51 states—none of which are industrialised, migrant-receiving countries. 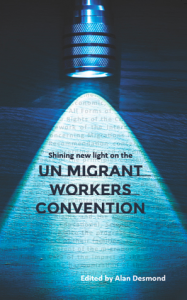 “Shining New Light on the UN Migrant Workers Convention” is available (open access) here.